Syria condemned with the strongest terms the Jewish “nation-state law” which was approved by the Israeli Knesset, a source at Foreign and Expatriates Ministry said on Saturday. The source said that the Law embodies the racism of the Israeli occupation entity through a racial segregation system that goes beyond the obnoxious apartheid system in South Africa. The source added that the Israeli law wouldn’t have been issued without the unlimitd support provided by the successive US administrations to this renegade entity which violates the international legitimacy. The Foreign Ministry pointed out that moving the US embassy to al-Quds came as a green light to Israel to go on in its hostile and racial policies. The source noted that the Israeli law represents a blatant violation of the international law and it harms the historical rights of the Palestinian people in their homeland through targeting their pan-Arab, cultural and humanitarian existence in Palestine. 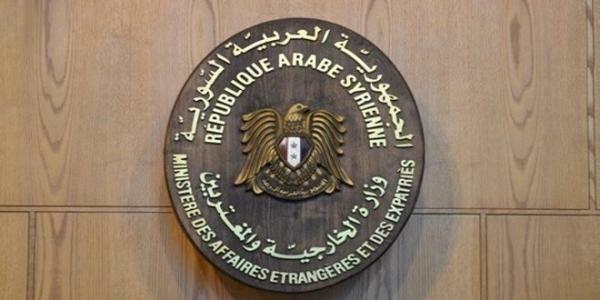 The Syrian Arab Republic called on the international community to shoulder its responsibilities and abolish that law which contradicts the principles of the UN, and to protect the firm and historical rights of the Palestinian people including their right to return home.